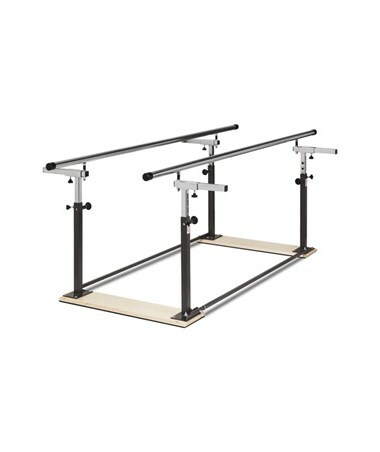 Load Capacity of 350 lbs, width of 16" - 24" and height of 28" - 41"
Adjustable and Sturdy. 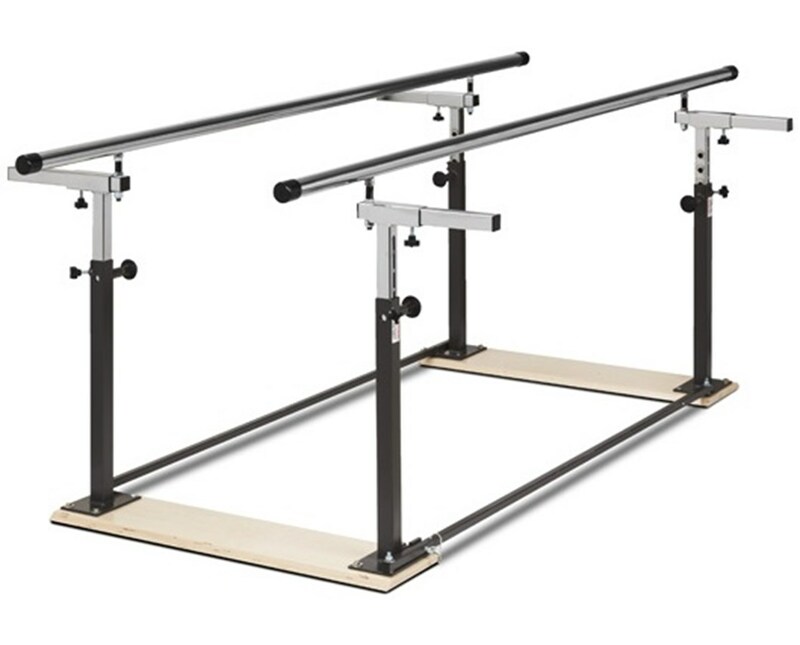 With a 350 lb load capacity under normal use, the Folding Parallel bars are constructed with a width flexible 1 1/2" stainless steel handrails and heavy duty, square, telescoping steel uprights. Its height can be easily adjusted with spring-loaded plungers and a numbered height strip. 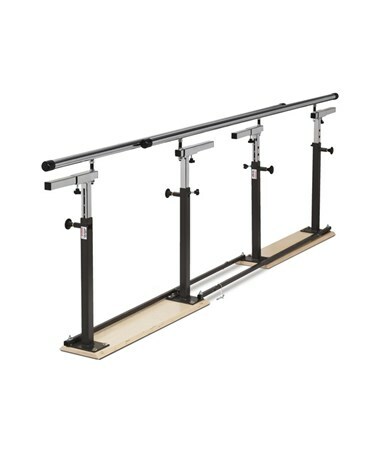 The handrails have end bumpers, a second height knob that can be removed side to side and features unique double stabilizer bars that stiffen the rails making it width adjustable. Width Range of 16" - 24"
Height Range of 28" - 41"